Ofcom has launched its look into net neutrality, with the media watchdog asking for feedback on traffic management. 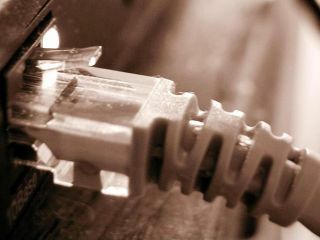 Traffic management, occasionally called traffic shaping, tends to fall into two categories – deliberately throttling connections from the home to certain sites (like Pirate Bay or YouTube for instance), or by placing a cap on the speed when users exceed a certain amount of data transfer. "Network operators and internet service providers (ISPs) are making greater use of traffic management techniques," explains Ofcom. "These can allow them to handle traffic more efficiently, to prioritise traffic by type, to charge for guaranteed bandwidth or to block or degrade the quality of certain content. "Whilst traffic management potentially offers some benefits to consumers there are also concerns that firms could use traffic management anti-competitively. "The increasing use of traffic management also raises questions about consumers' awareness and understanding of the impact that traffic management has on their broadband service." With an increased interest globally from governments in the debate, Ofcom is now taking an in-depth look at net neutrality. "Proponents of 'net neutrality' argue that traffic management by network operators and ISPs could lead to discrimination, in turn harming what they see as essential features of today's internet," adds Ofcom. "The debate ranges widely including questions such as whether citizens have a 'fundamental right' to a neutral internet, or whether 'net neutrality' promotes economic competitiveness and growth. "These are important questions, but also ones primarily for governments and legislators." New legislation will urge transparency of when traffic is being managed by ISPs, and a 'minimum quality of service on the internet'.